I’m always thinking of ways to eat pizza in an unconventional way. 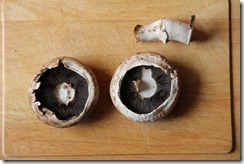 Today the base is a Portobello mushroom. Mushrooms have a dense, meaty texture that does well to replace meat in sandwiches as well as the crust in a pizza. It also holds the pizza toppings in a clean and convenient way. Enjoy! Mushrooms: are low in carbohydrates and sodium, are an excellent source of cancer-fighting selenium, reduce blood pressure and risk of stroke, are a good source of B-vitamins, contain tryptophan, which is essential to create vitamin B-3 and helps control sleep pattern and mood swings, help to prevent breast cancer and contain a high amount of antioxidant L-ergothioneine, which is important in protecting from UV and radiation as well as contributing to the liver’s detoxification abilities. 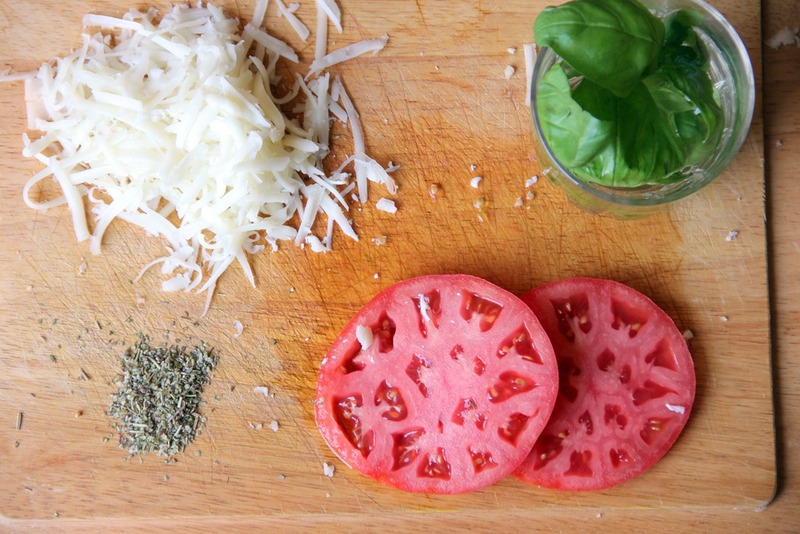 Shred the mozzarella and slice the tomato slices. 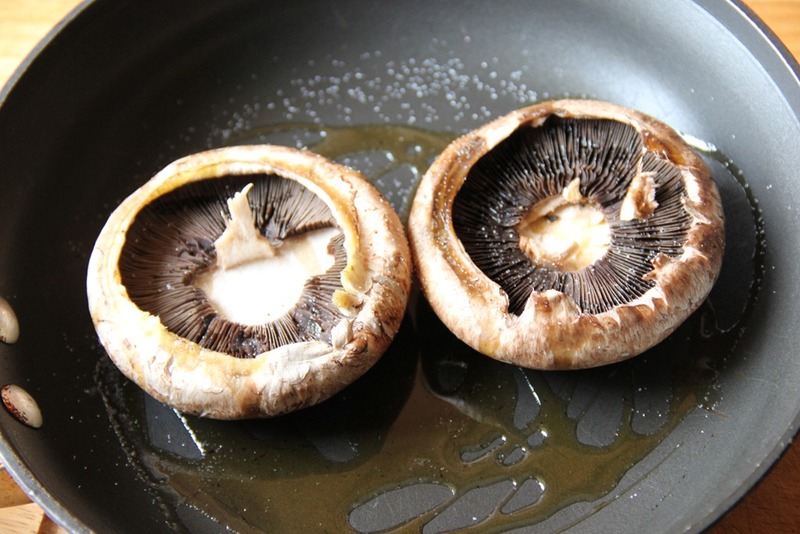 Clean the tops of the Portobello mushrooms with a wet washcloth. 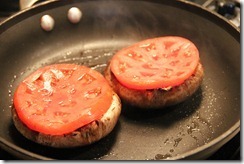 Remove the stem and place them top down in medium saucepan coated with 1/2 tablespoon olive oil over medium heat. Season with salt. 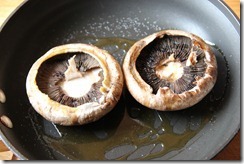 Cook until the mushrooms begin to soften. 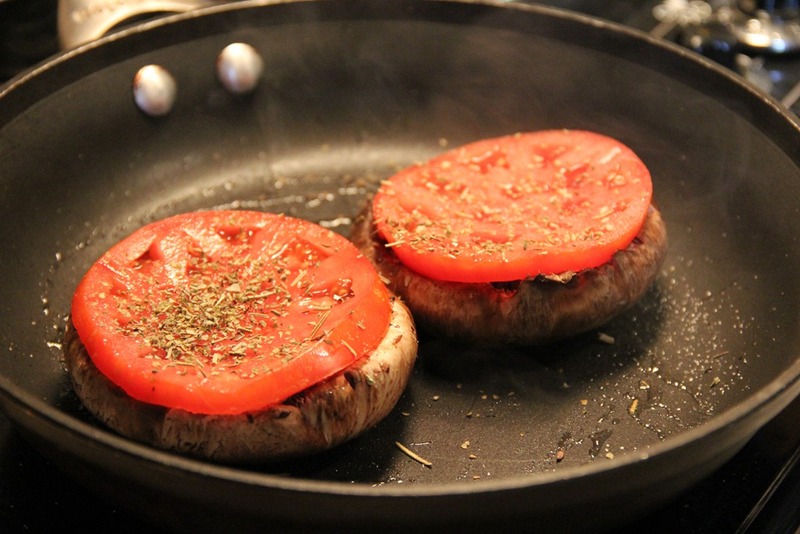 Top each with a slice of tomato and season with oregano. 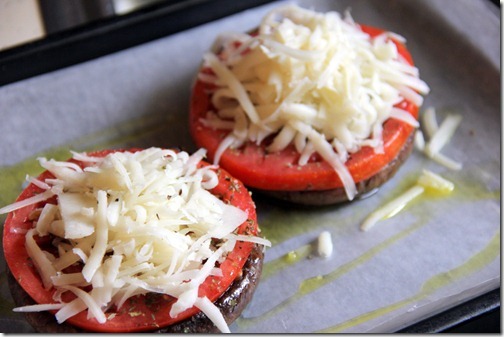 Place on a greased baking dish and top with mozzarella. 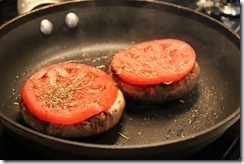 Place in the oven for 8 minutes at 400 degrees Fahrenheit. Broil for an extra minute on high to brown the cheese. 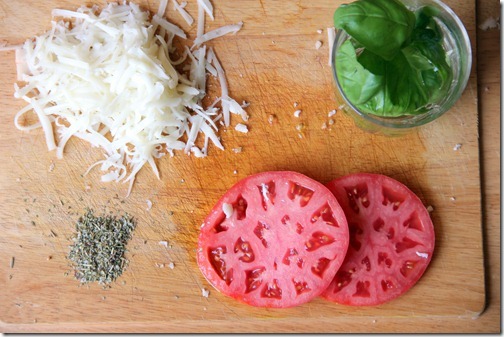 Serve with a garnish of fresh basil. 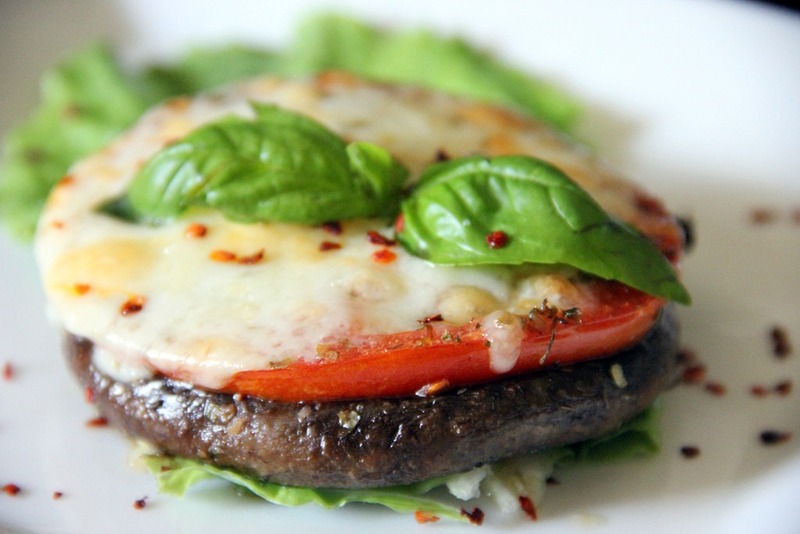 This entry was tagged mozzarella cheese basil, mushrooms, oregano, pizza, portobello, tomatoes, vegetarian. Bookmark the permalink. This sounds perfect for a quick lunch! 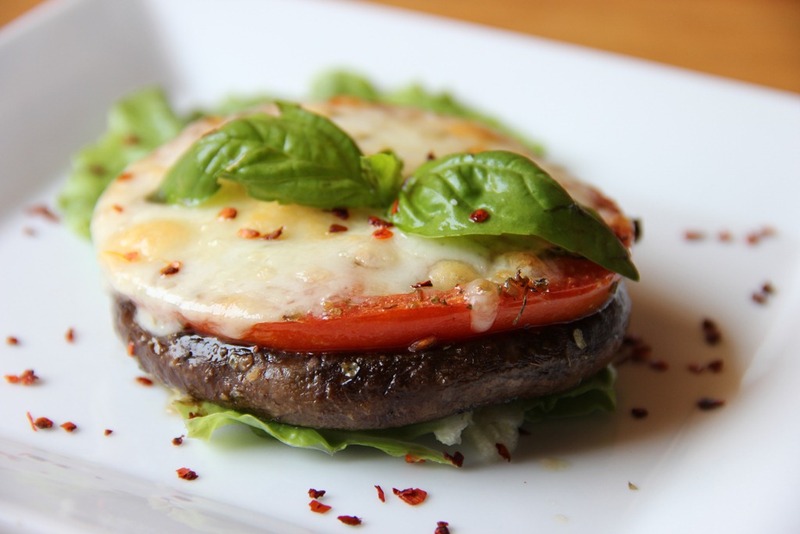 (It would have to be lunch at my house, because someone else Really hates mushrooms…but I will stuff my face by myself, thank you very much. 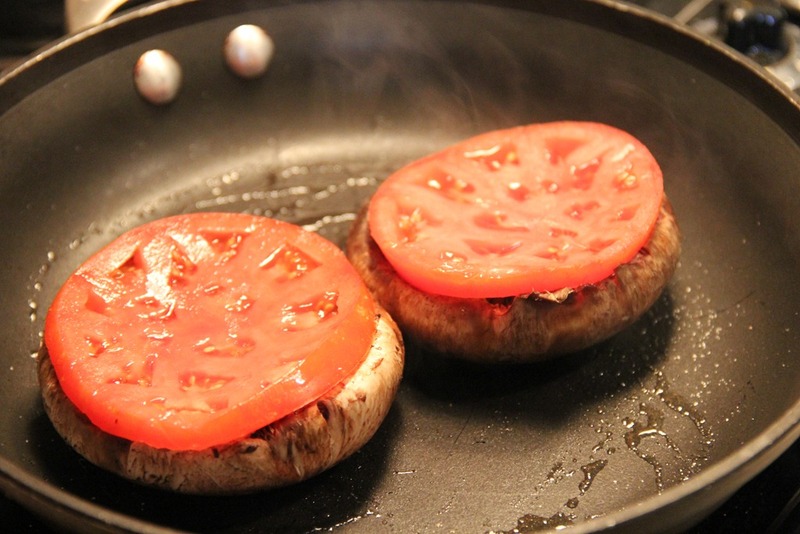 🙂 ) Let’s eat all the thick slices of gigantic beefsteak tomatoes while we can, right? The perfect Meatless Monday meal for today. Sounds delicious, thanks for sharing! !